I was thrilled when I found out that H&M now has online shopping in the US! Even though I have a shop near by, I love that they now offer it for anything I love online! Since hearing this news I thought that I would incorporated H&M into my outfit today. 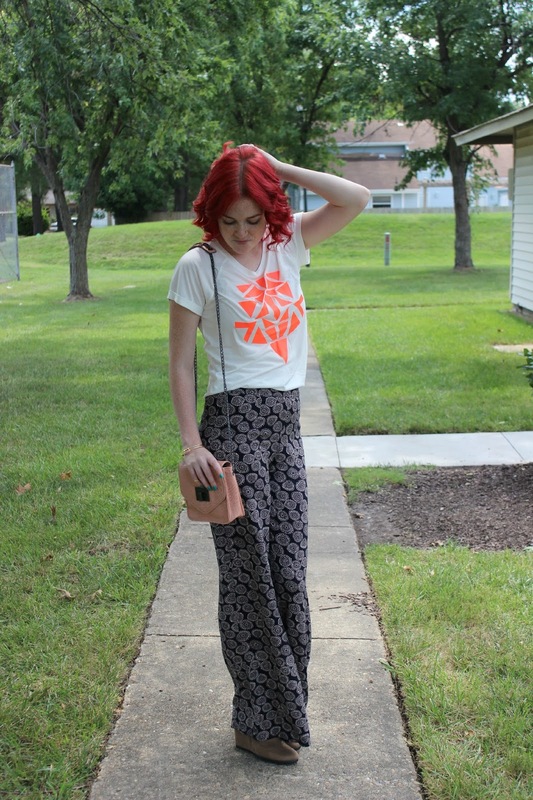 I am absolutely loving this abstract printed top and I combined a few prints with these adorable palazzo pants. These pants will transition well into Fall, which is right around the corner.